This board is tested and now used in my Domoticz setups. I use Raspberry Pi 2 as controller and gateway. 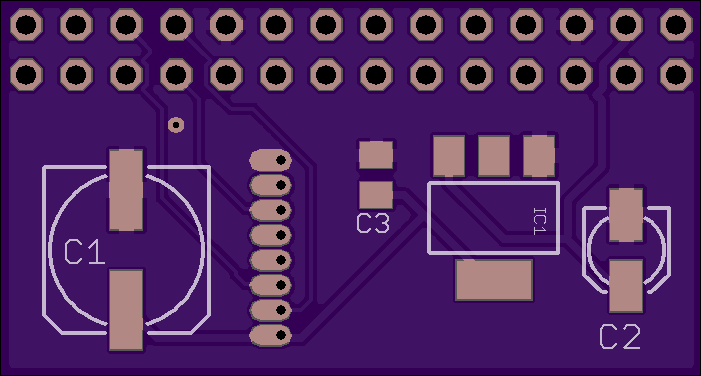 The board is available at OSHPark: and wil cost you $5.25 for three boards. 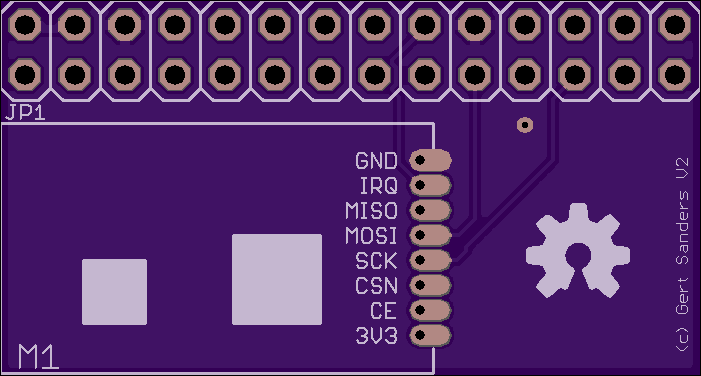 The IRQ pin of the NRF24L01+ module is connected to PIN18 on the Raspberry header.